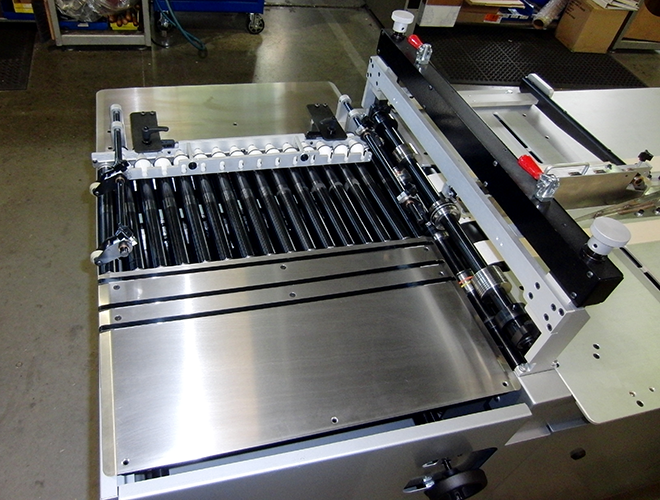 Add roller registration folding capabilities to your attaching and inkjet printing systems with the KR219RRSF. Designed to handle a wide variety of product including those containing cards, magnets or product samples, the KR219RRSF helps bring automation capabilities to your operation. The KR219RRSF is engineered to produce letterpress style creasing and buckle folder style folds so you can avoid outsourcing forever. Rollers register the product accurately as it enters the KR219RRSF. 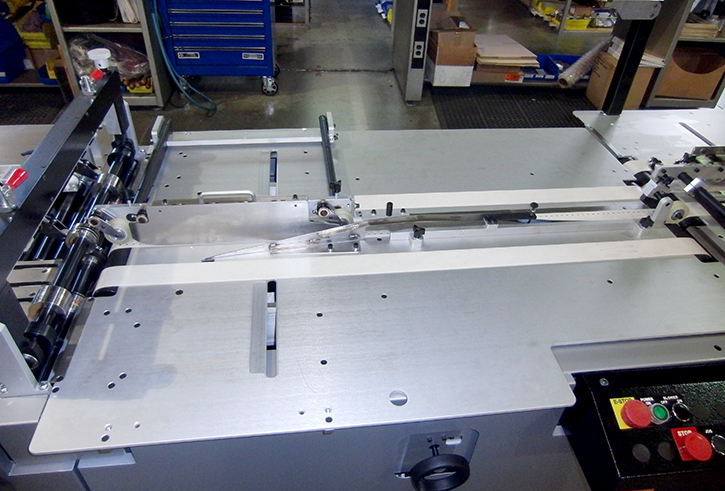 Vacuum belts and individually spring loaded urethane rollers transports the piece through the folding section. The folding section aligns easily with the score using the adjustment handle. Options are available for expanding KR219RRSF capabilities. 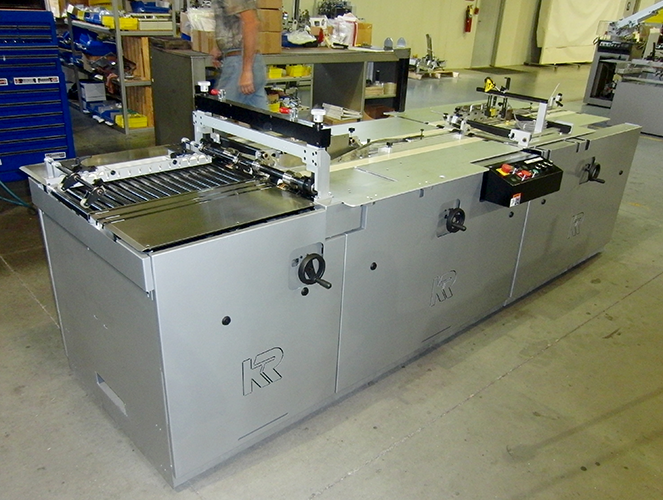 For additional folds, run inline with a KR219FM. 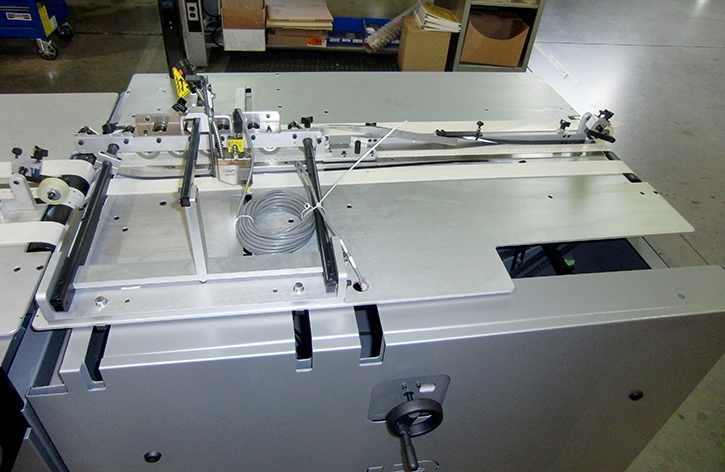 Glue systems are easily added for sealing the piece closed. Camera scanning systems verify or lookup and track each piece through the system for inkjet printing after the fold.